Learn about the artworks in Colour II: Merv Moriarty, in the Field, from the artist himself. 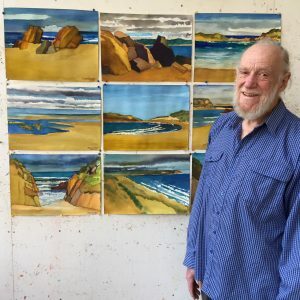 Merv will be in the gallery from 3:30 – 4:30pm to talk about his new series of works and upcoming tour. Learn more about the Colour and Response Tour and Exhibition Project. This event is very generously hosted by Mitchell Fine Art.